(Atlanta, Ga.)- Five years ago, this small two-day music festival held in the little historic old fourth ward of Atlanta, Georgia, captured the hearts of many among the southeastern region of the country. The budding dance music scene in the city of Atlanta was given a small glimpse of just what would be in store for the next half decade. Five years ago a brand was born, and it grew into something bigger than… imagined. 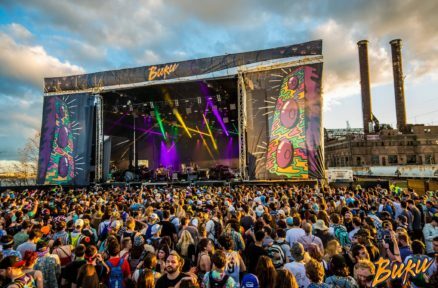 From a small 2-day event held in the Historic Fourth Ward, on the edge of downtown Atlanta, to a large 3-day camping music festival taking over Atlanta Motor Speedway, Imagine Music Festival is rapidly making its mark in the festival circuit. The time is approaching fast for the 5th anniversary of this music festival the city of Atlanta is proud to call, Imagine Music Festival. This will be the third year of the annual 3-day camping expansion for the festival. 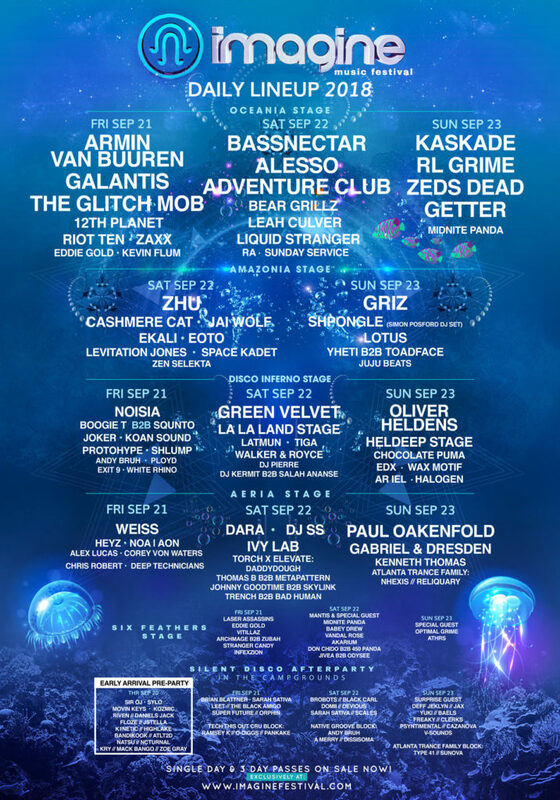 The two-phased lineup release curated a lot of attention from fans with the likes of headliners such as Armin van Buuren, Alesso, Bassnectar, RL Grime, Galantis, and Kaskade. The rest of the lineup boasts plenty of diversity with some of the hottest names in dance music for the 2018 circuit; but there is something special happening on Saturday and Sunday at the Disco Inferno Stage at IMF this year. This stage will be host to two themed stages from both Oliver Heldens and the legendary Green Velvet. On Saturday, Disco Inferno will be transformed into La La Land presented by Green Velvet and special guests. This will be a house lover’s paradise with performances from Latmun, Tiga, Walker and Royce, and the man of the hour, Green Velvet. On Sunday, fans will go deep, Heldeep, into the funky realm of house presented by Oliver Heldens. 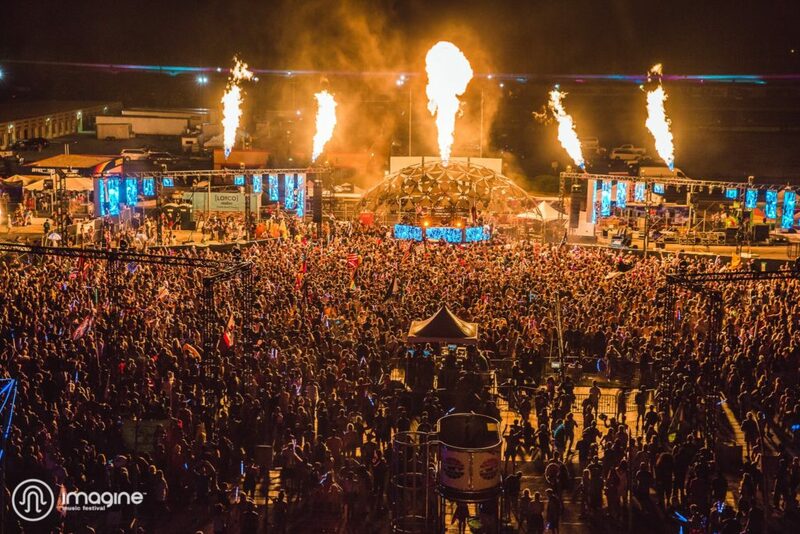 This stage is stacked with acts like Chocolate Puma, EDX, and Wax Motif, along with Oliver Heldens headlining. Both of these nights are loaded with some highly sought after names in house music. Last year, Disco Inferno was taken over by Claud Vonstroke and the Dirtybird Players: Shiba San, Dateless, Cizak, and Will Clark, for a special closing of day 3 of Imagine Music Festival 2017. This was certainly a highlight reel day for the festival, and was an easy fan favorite. Imagine Music Festival 2018 is just around the corner, but there’s still time to purchase tickets. Visit www.imaginefestival.com/tickets for pricing and details. Check out the daily lineup for IMF 18 below!